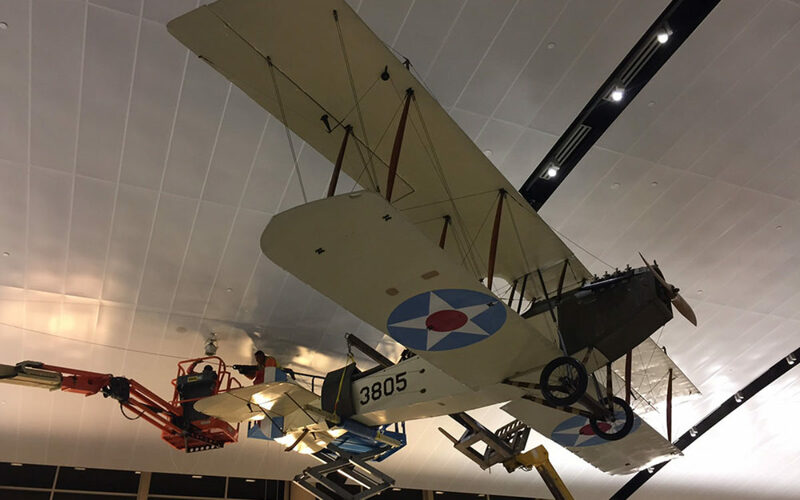 © 2018 Alpha Building Corporation- Elite Builders. 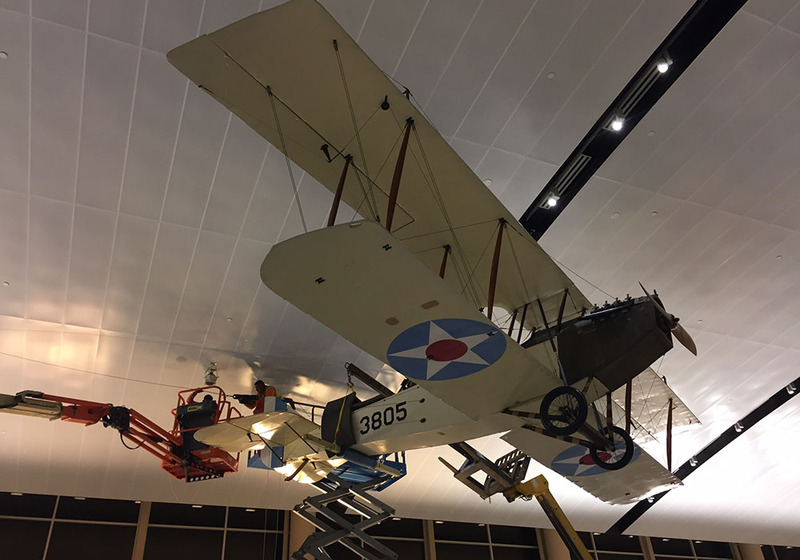 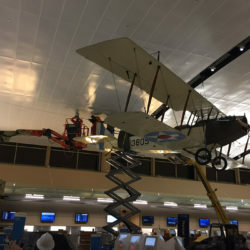 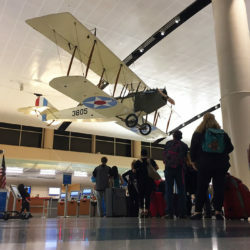 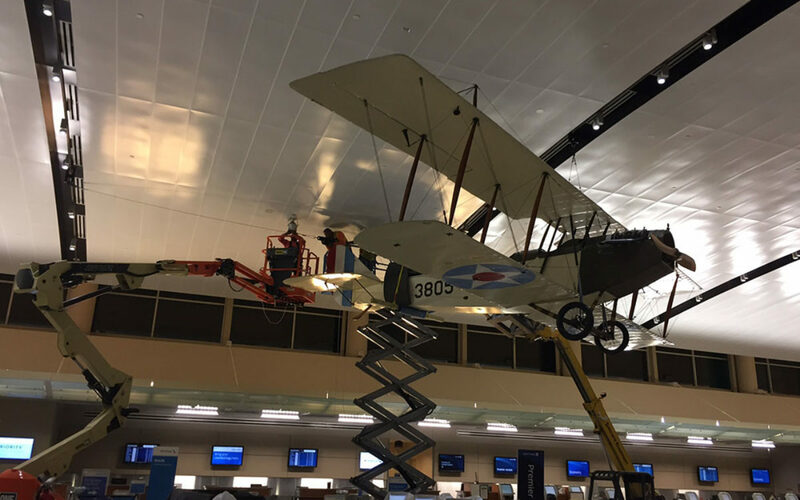 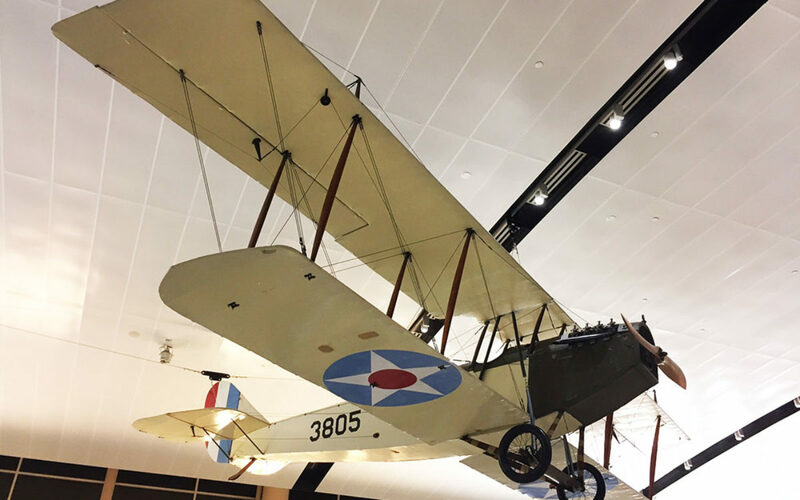 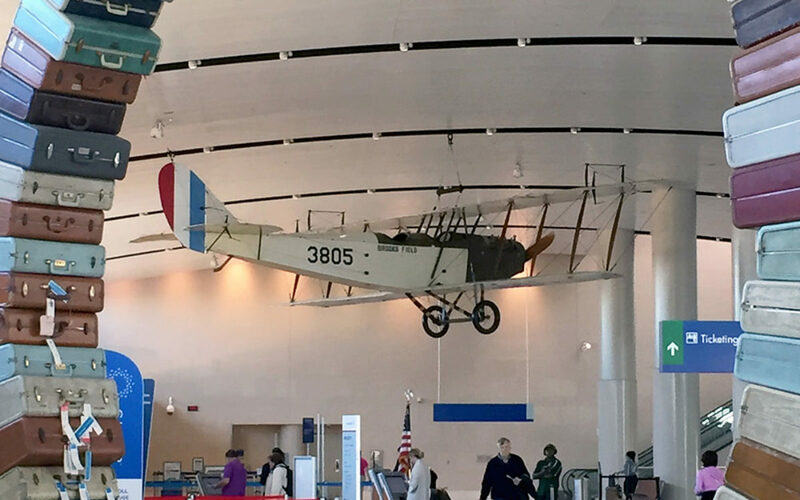 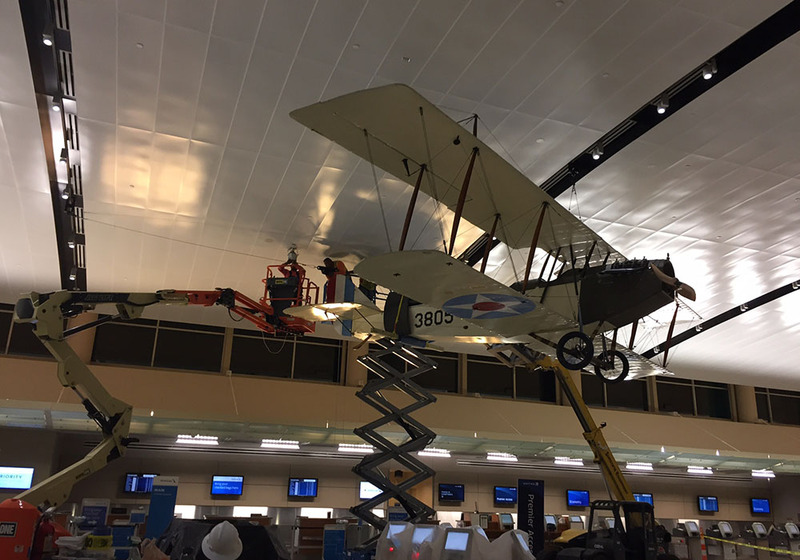 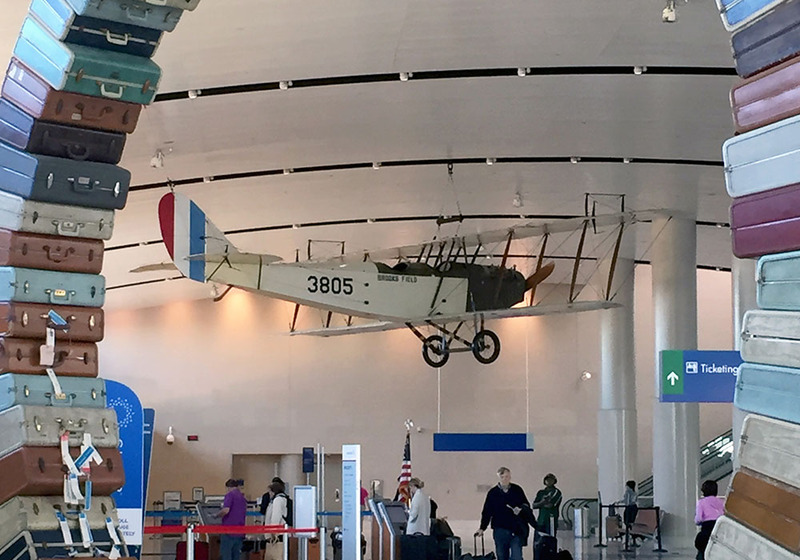 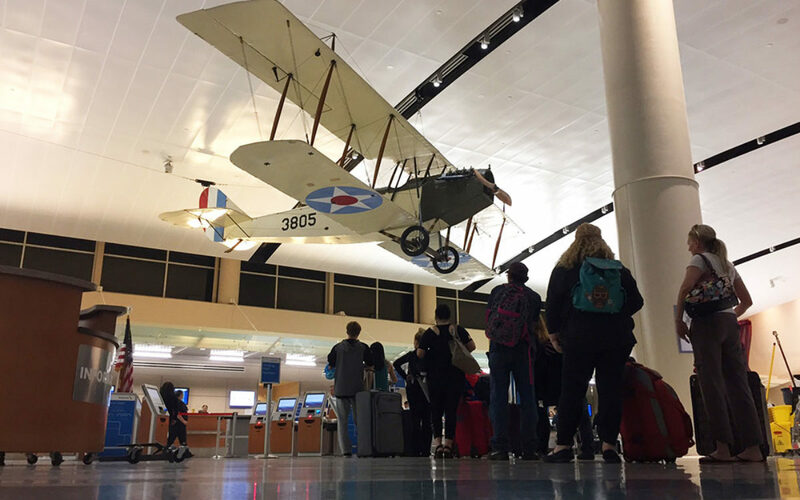 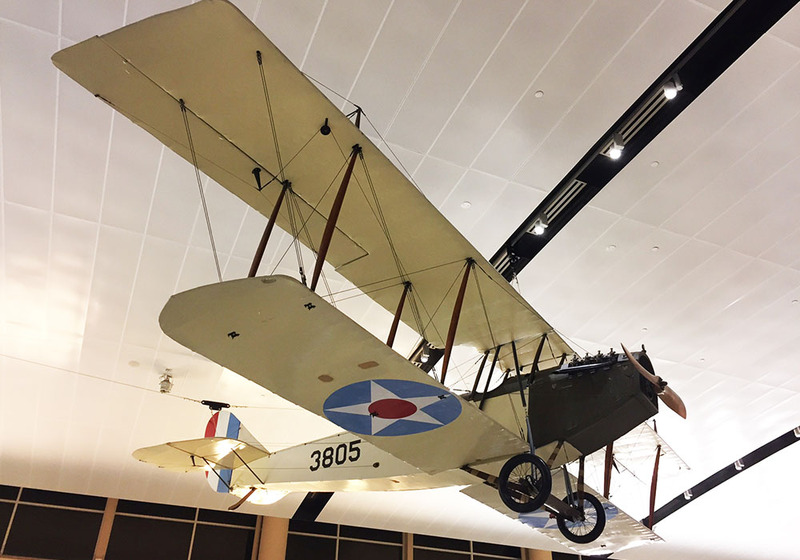 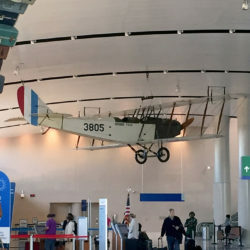 If you visit the visit Terminal B at the San Antonio International Airport, look to the ceiling and you will see The “Jenny” - a 1918 Curtiss JN-4D biplane that provides passengers a glimpse into Military City’s rich aviation history. 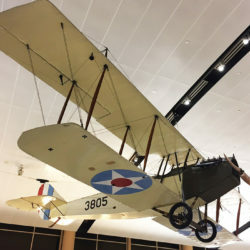 The “Jenny” was used as a military trainer for pilots in the U.S. Air Service during World War I and as a mail-carrying airplane during the 1920s. 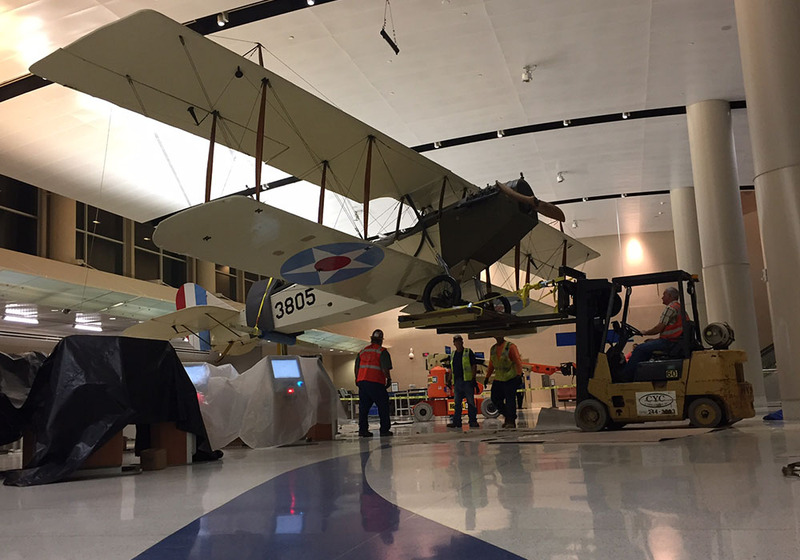 Only 2,800 biplanes were made and one of them is located in San Antonio. 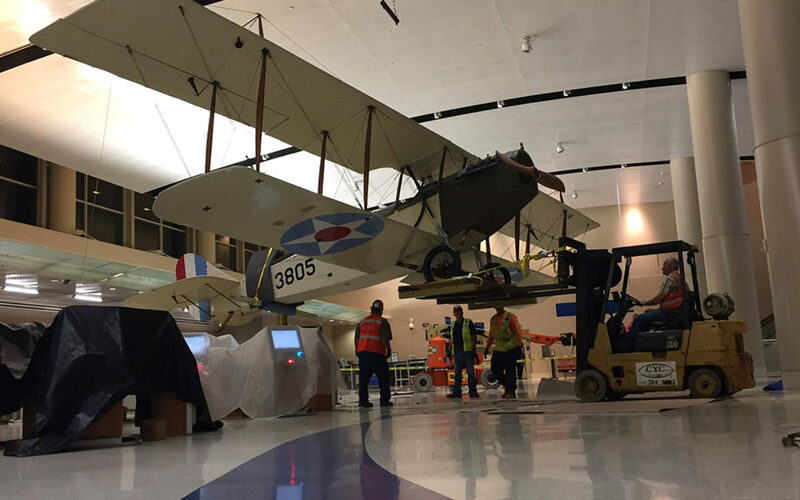 Alpha was excited to partner with both the Witte Museum and The San Antonio International Airport to get the “Jenny” safely assembled and hung inside the terminal. 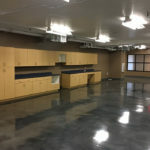 Alpha had been involved in the planning of this project for almost a year. 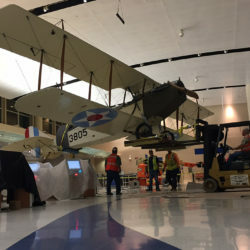 There was a very narrow window of time to complete the project due to coordination of availability between the Whitte Museum and the plane assemblers. 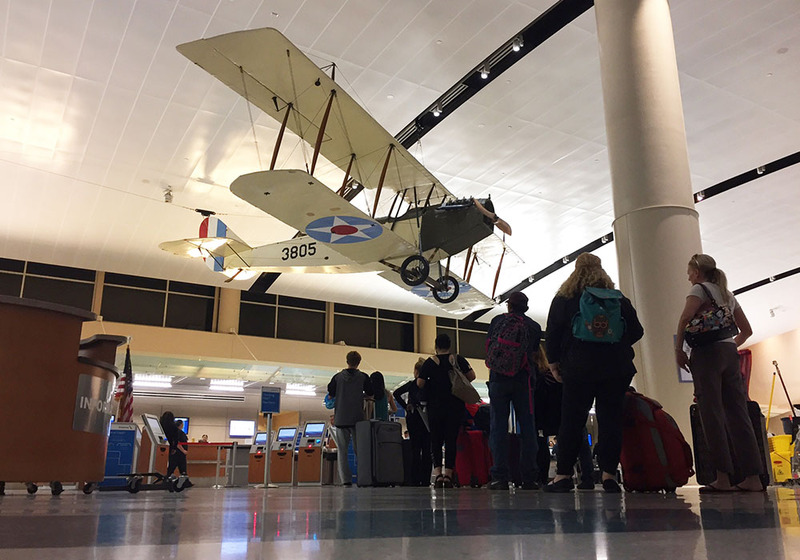 Another challenge was working around the airline ticket counters in Terminal B. 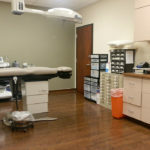 Work could only be done at night when the counters were closed, giving Alpha an average of 6 hours to work per night. 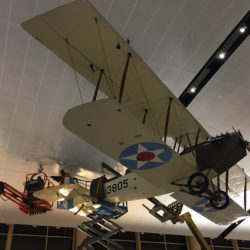 To hang the plane, Alpha added additional structural steel supports above the suspended ceiling and attached the plane using a cable suspension system.